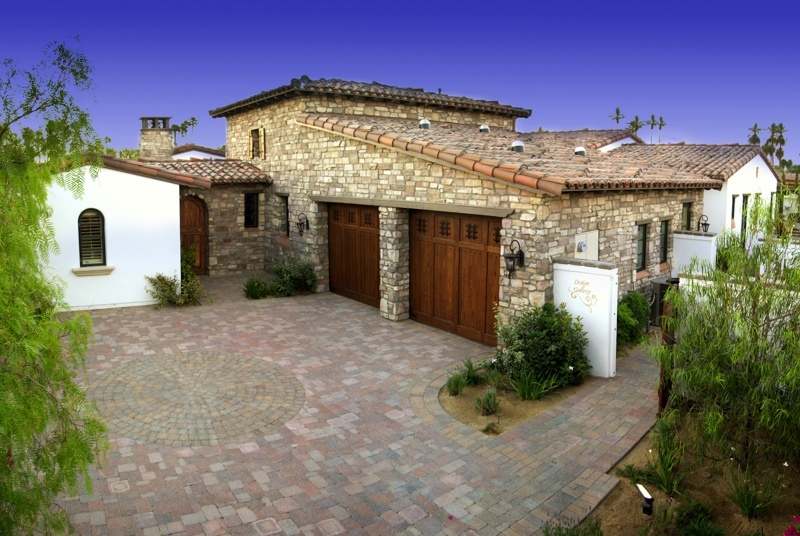 As the oldest and most reputable interlocking pavement installer in the Coachella Valley, we specialize in working with new home builders, developers, architects, and HOAs to create attractive driveways that make projects stand out, while offering a surface that is durable and easier to maintain than an asphalt or poured or stamped concrete driveway. 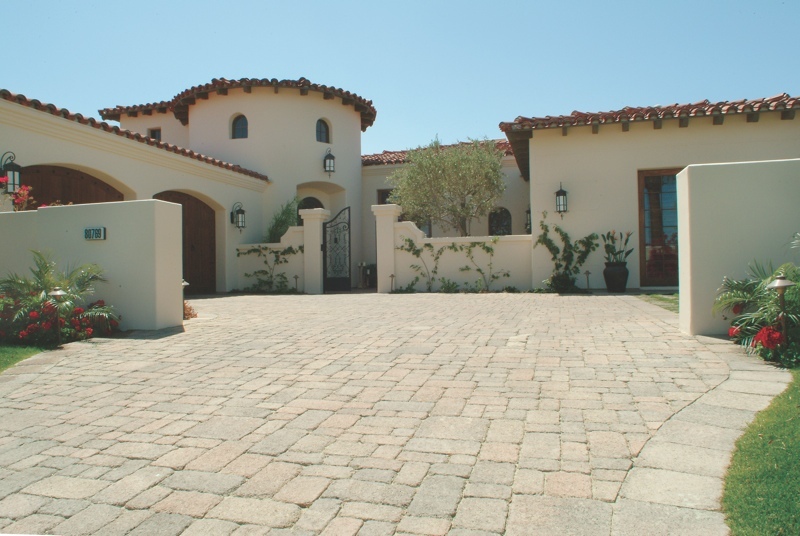 A magnificent paver driveway is one of the most effective ways to drastically boost a property’s curb appeal and increase neighborhood value. As Michael Hatch of Re/Max Results/The Hatch Group proclaimed, “A paver driveway increases a home’s value and significantly boosts curb appeal. No other exterior improvement project gives your property a faster face lift.” Real estate agents echo a recent Wall Street Journal article in attesting that prospective buyers size up the house before they even set foot out of the car. Neighborhood homes before interlocking concrete paver driveway installation. Neighborhood homes after interlocking concrete paver driveway installation. Since the 1970’s we’ve served as a preferred partner of developers, builders, and HOAs in the Coachella Valley and throughout Southern California. 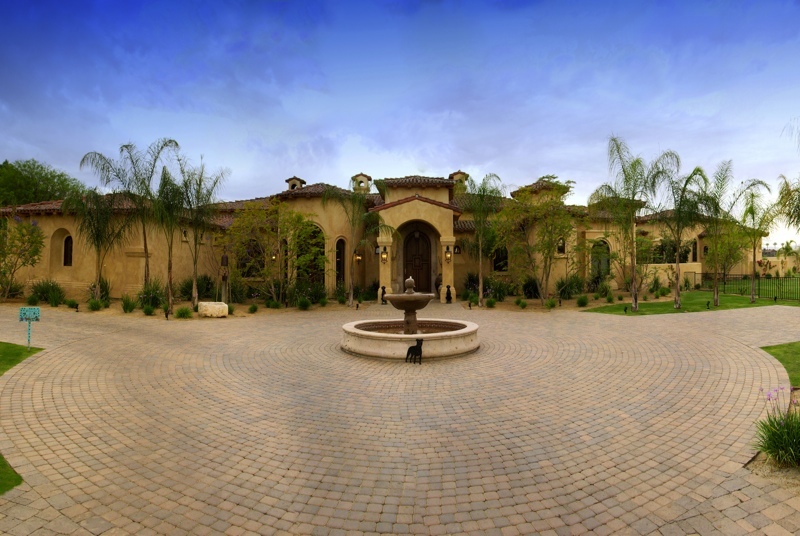 As the interlocking paverstone contractor who installed driveway pavers at Toscana, Andalucia, and Griffin Ranch, Tradition, and Big Horn Country Club, we are experienced in building value into new residential community developments. 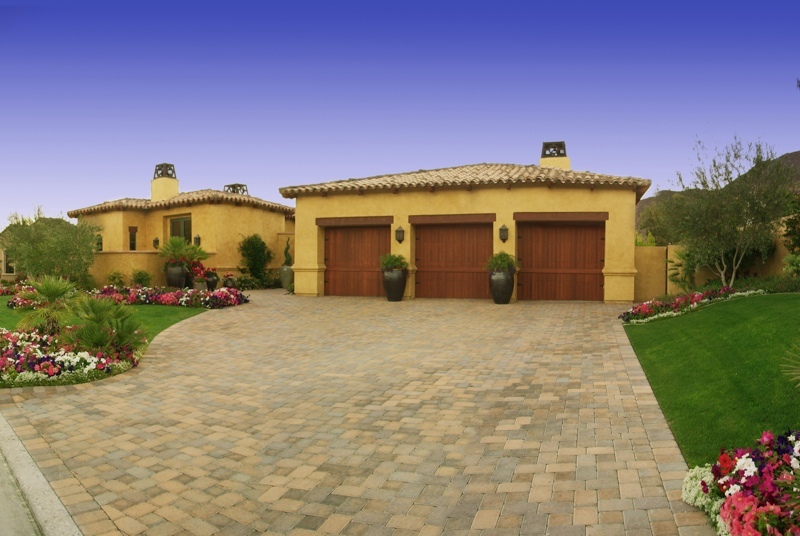 We also work closely with a Homeowner’s Associations and neighborhood groups seeking to increase the property value of their communities through the installation of beautiful concrete interlocking paver driveways. We’ll create a customized plan of action, hosting informational sessions and establishing group discount programs that incentivize homeowners in the community to replace their concrete or asphalt driveways with paver driveways. 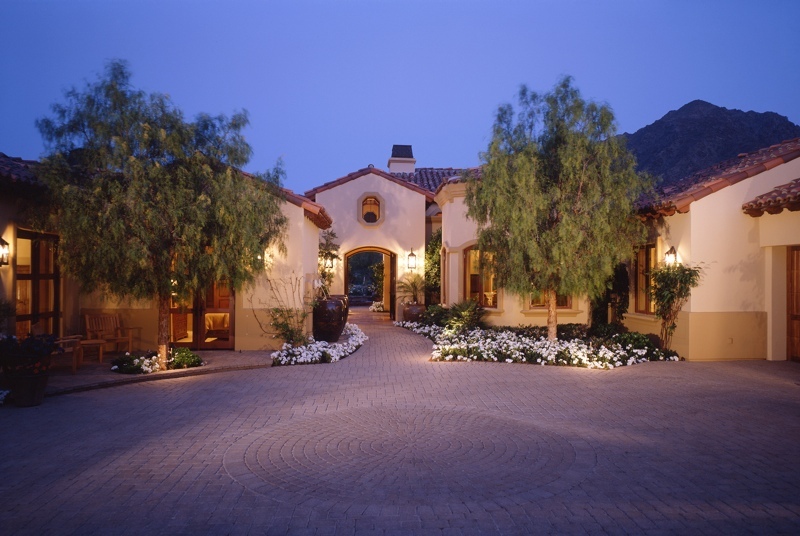 Farley Pavers has installed more interlocking paver driveways and residential streets in the Coachella Valley than any other contractor. Our work has won us five National Concrete Awards. As area natives, we know the terrain of Southern California, and we engineer our projects to not only be beautiful but to contribute to improved storm water management in the area.